Let´s celebrate! Let´s toast! Let us enjoy life! Where? Of course, in the most beautiful city in the world! After all, there is always a reason to celebrate. Or because you are simply in the mood for it – celebrating is just beautiful! 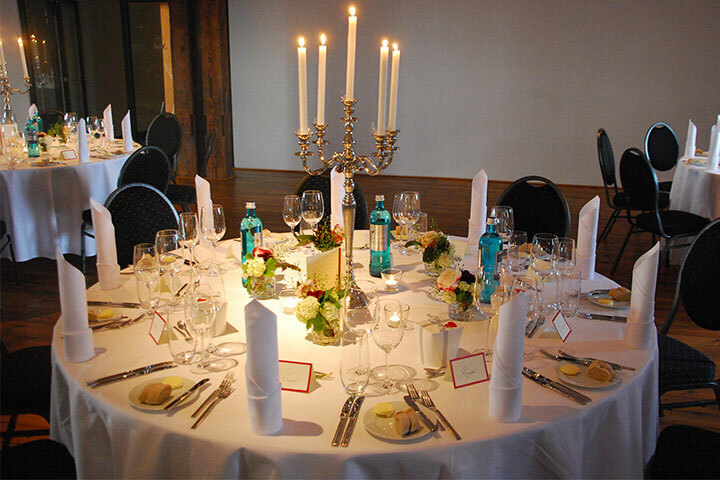 Whether a wedding, baptism or a birthday party Hamburg’s best location for any affair is the “Kaispeicher B” located in the old HafenCity. Take the opportunity to spend a good time with family and friends or colleagues, in one of our locations – with fine food, great music, and the fitting ambiance! If you want to party properly, many details need to be taken into consideration: the right venue, catering, music… With us, your search won’t be long, because we can offer a one-stop solution for all of your needs! The only thing you need to take care of yourself is to make a decision: In which of our various venues would you like to host your party? From the ground floor, all the way up to the roof, we offer five different locations. We do have the perfect location for everyone and of course, we would be happy to assist in regards to the location selection. No matter which deck you finally decide on: Maritime flair, historical warehouse charm, and modern interiors are included in any of our venues. Enjoy the Charme of Hamburg´s harbor on our terrace. For your business events, Christmas or birthday parties à la Hamburg, our chefs from the “Alte Liebe” and “Catch of the Day” restaurant will start the barbecue for you and our barkeepers will spoil you with delicious drinks during sunset. Or would you rather prefer a fine business catering or a flying buffet set up between maritime exhibits from the International Maritime Museum? 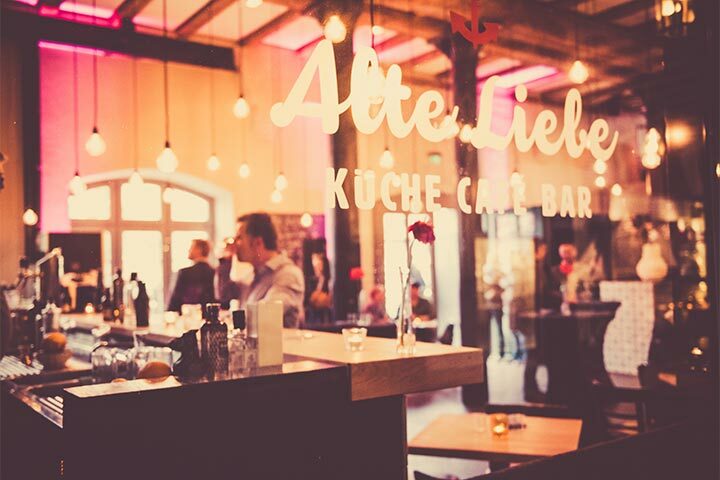 Just come by, treat yourself to a bottle of beer in the “Alte Liebe” restaurant and enjoy fine fish in the “Catch of the Day” and see for yourself! Is the long-awaited day of your big wedding coming up? Is it your best friend’s birthday? Or is the youngest member of the family being baptized? Then it is time for a big party! Celebrate with us and your loved ones in the “Kaispeicher B”. 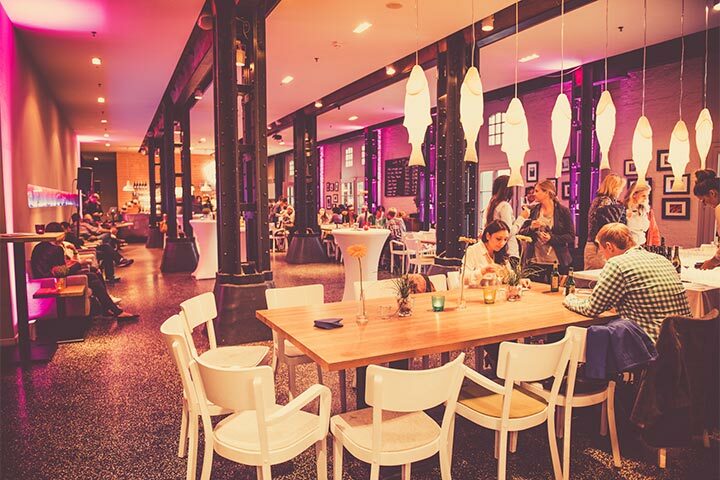 Whether a tea party with the inner circle or a fabulous party with 600 guests – we love celebrations and offer a top address for private events in Hamburg. Come together and enjoy the authentic charm of this city, with a view over the harbor. And because the old saying goes: food is the way to the heart: Delicious food may not be missing! Simply to say thank you: With a delicious barbecue party during the summer for the whole team, a cozy dinner or an exciting Christmas party hosted in the port of Hamburg: Company celebrations are part of a successful business year! Which also promises happens to be excellent for team building as parties strengthen the team spirit. Or maybe another seminar is coming up? We offer numerous locations at Kaispeicher B! that will meet your every need. 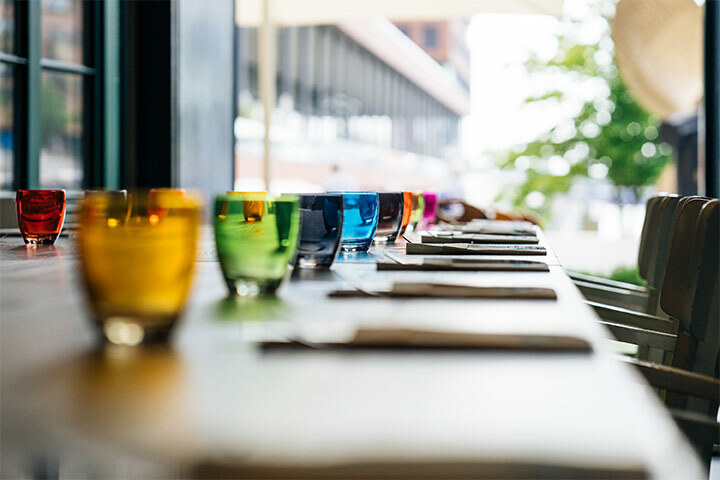 With us, you will not only find excellent locations set within a relaxed atmosphere, we will also provide with sophisticated business catering – so you can sit back, take care of your guests and celebrate!